With all the buzz surrounding Pokémon’s 20th anniversary, perhaps more than one gamer forgot that this year also marks the 20th anniversary of another revered video game series, namely Resident Evil. This franchise by Japanese video game company Capcom has a legion of fans worldwide, and is loved by players who are into the action-horror video game genre. In order to celebrate the series’ 20th birthday (which was on March 22 this year) Capcom has released a video (see below) in which producer Hiroyuki Kobayashi reflects on his experiences working on the Resident Evil games. Kobayashi began working as a programmer on the original Resident Evil game back in 1996, but now he is involved with the long-running franchise at a higher level, and has even produced most of the movie series starring Mila Jovovich too. In the video (which is narrated in Japanese but features English subtitles), Kobayashi highlights that Resident Evil 4 was a turning point in the series, as that game introduced “accurate shooting gameplay to the Resident Evil universe”, and even did away with zombies, introducing a new enemy type known as “Ganados”, and had a big influence on the games that came later. Kobayashi also describes the Resident Evil games as entertainment experiences that can also appeal to non-gamers, in the way that the Resident Evil movies directed by Paul Anderson do. But even if some of the Resident Evil games have been controversial (particularly 2009’s Resident Evil 5 as it was accused of having racist undertones), Capcom’s approach of producing games that can even appeal to non-gamers is no doubt a sound one, as is reaching a wider audience with the wildly successful movie series starring actress Mila Jovovich and even an upcoming musical which will be performed by the Takarazuka Revue in Japan. Resident Evil sparked controversy, but was a great game nonetheless. Although given how Resident Evil is the premier horror video game franchise, it is surprising that Kobayashi admits during the video that he is not a horror fan himself, as being involved in the game’s development means that the surprise factor of playing a game like Resident Evil is lost, but test audiences were getting “very shocked and scared” when they saw the game according to Kobayashi. Also, it is clear that the Resident Evil games have pushed the technical envelope and featured cutting edge graphics in each console generation, with Kobayashi admitting that his team tends to “dream really big when we get a new console to work with”. 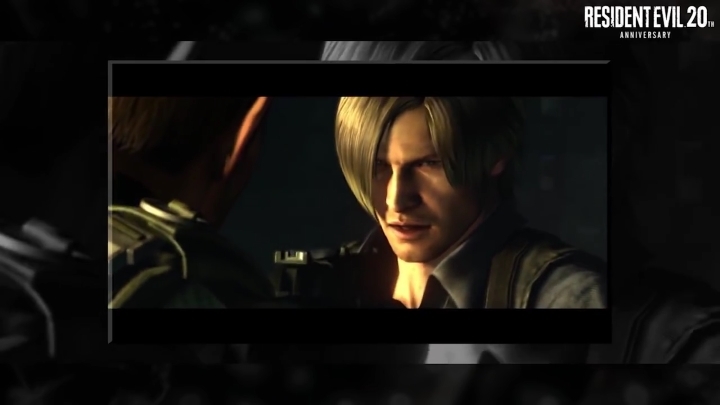 These games have offered more than pretty graphics throughout the years though, becoming one of the top video game series and shifting more than 60 million copies to date, and Kobayashi has words of gratitude for the series’ fans in the video saying that Capcom owes the global success of the series to Resident Evil’s “incredible fans”. And hopefully this is one video game horror franchise that will keep on delivering great gameplay experiences to its fans in the future.